This feature is an immediate activation of the alarm system at the keypad panic buttons, a remote wall mounted panic button, and/or a wireless type of hand-held panic button. A signal is transmitted to the central station to request urgent need for emergency assistance. Silent Hold-up alarms, silent duress features and the “code under stress” options are also used in life threatening situations. Our top selling control panel NAPCO FREEDOM 64 by NAPCO Security. The FREEDOM 64 is a robust control system, which is expandable to accomodate hardwired and wireless sensors and convenience products. The system can be expanded to accomodate 64 zones of protection, LCD touchpads, wireless touchpads, keychain control, as well as control by telephone. The system can be partitioned into 4 separately armed areas. The control panel also includes a transformer, backup, battery, telephone connection, expansion modules (some may be optional), and one or more sirens. The siren-speakers may produce voice alerts if this option is selected. The central computer or “brains” of a security system. Every sensor on the security system reports back to the control panel with supervisory signals and alarm signals. A control panel can be connected with a central monitoring station by many different alarm communication paths making it a monitored security system. A control panel is normally installed in a Basement utility area, laundry room, electrical closet. For hardwired security systems, the control panel typically is located in a metal box. Inside the box are the system’s circuit board, power supply, and back-up battery. For wireless security systems, the control panel gets it’s information from the devices via the wireless receiver which is hardwired to the Main Control Panel. System Keypads provide the main interface to your security system. LCD readouts and lighted buttons provide input and output capability. A code is required to disarm, and access certain functions. Some functions are “one touch” features. 3 Panic buttons and a silent duress code are programmed. Vital alarm and zone information are immediately displayed on the backlit LCD screen. Keypad upgrades are available. These sensors provide detection of the opening or forced entry of a door or window. A sensor in the frame responds to a magnet placed on the moving part of a door or window. When the magnet moves away from the sensor, the circuit opens sending an alarm message to the control panel. These sensors should be placed at all windows and doors where opening detection is desired. 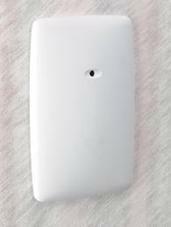 If a sensor is opened in the disarmed state, the system keypad can notify you with a visual and/or audible indication. Overhead garage doors can be connected to provide notification if the door is left open? These detectors provide a key element to perimeter security. If glass is broken, and the system is armed, an immediate alarm will occur before an intruder gains access. These detectors are wall or ceiling mounted, and have a range of approximately 25 feet. Combined with Door/Windo sensors, Glass breakage Detectors provide complete perimeter protection. Motion Detectors provide a backup to a perimeter security. 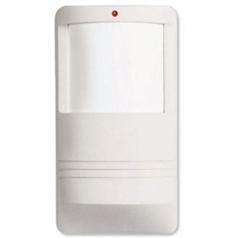 A motion detector provides an alarm activation if an interior space is entered by a human being. The motion detects body heat and space disturbance using microwave and infrared technology. Recent advancements in false alarm immunity have made motion detectors a reliable part of any modern security systems. Wireless Keychain Touchpads are a popular convenience item, which provides control of specific functions through the use of a small, portable Keyfob. The system can be armed and disarmed. You can also control light and a panic function is provided. 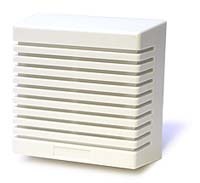 Smoke/Heat Detectors provide supplemental detection to the electrical smoke detectors, which may already be part of the building plan or existing home. Along with increasing the points of detection, these detectors will operate when the house power is off and will transmit a signal to our 24-Hour Monitoring Center if a fire, smoke, or heat is detected. Heat Detectors provide fire detection where smoke detectors are not practical. Areas exposed to the outdoors, exhaust, cooking or steam are typical locations.Heat Detectors detect 135 or 195 degrees and/or a rapid rate-of-rise in heat. The same response is given for Heat Detectors as Smoke/Heat Detectors. Carbon Monoxide Detectors can be linked to the system to provide detection of this deadly gas. Sources of carbon monoxide include vehicle exhaust, furnace emissions, or gasses produced by fires. The advantage to an integrated carbon monoxide detector is that it is monitored by our 24-Hour Central Station. The iBridge Module provides a way to control your system through a smart phone, tablet or computer on or off premises. You can access your system to check or change it’s status from smart phone, tablet or PC anywhere. You can also use on-premises phone/tablet/PC to control the system, giving you more “virtual” keypads throughout the home. This style of security provides protection for different areas or “Zones” from as few as 4 zones, to 16, to 64 and up to 255 Zones as needed. Zones describe areas of protection, entry doors, rear doors, basement, front windows, kitchen windows, motion detector in warehouse, motion in foyer, glassbreakage in store front, etc. Each zone is numbered and coded to the central monitoring station to assist the authorities as they respond to the proper area at your location that has been violated. A Hardwired system means that there are actual wires run from the main control panel box to each zone of protection, doors, windows, motion detectors, glass breakage devices, floor sensors, shock sensors, water/flow devices, smoke detectors, carbon monoxide detectors, etc. The hardwired system can be installed in existing Homes or Commercial locations, and is the Builders choice or new construction because of its reliability and constant zone supervision. A connection between alarm devices that does not use wires. Most wireless connections between system devices use RF wireless signals to detect an open zone, Window and Door contacts, Wireless Motion Detectors etc. When the chime feature of your security system is activated and your system is disarmed , the keypad will beep to indicate when a programmed door or window is opened. This feature is helpful for small business owners during business hours if someone walks-in, or for the home owner with small children who may open a window or door and wander out. The battery back-up power supply inside the main control panel is automatically activated in the event of the main power supplies failure. This battery shall also recharge when the main power is restored. Power failure and low battery signals can be monitored by the central monitoring station for added protection. This battery supply is usually 12 volts and can provided emergency standby power as needed for several hours depending on the systems current draw. For longer standby power connection to an alternate power source such as a generator is recommended. 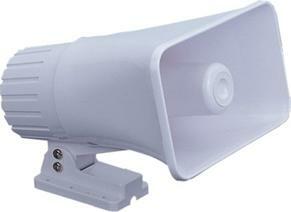 Interior and/or exterior alarm sirens are audible devices that sound during an alarm activation . 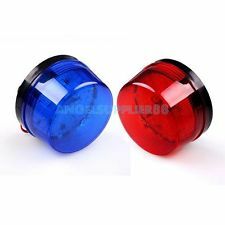 These siren devices are to alert someone, and frighten away the intruder. The siren is usually set to time-out and silence itself after a pre-programmed period of time. The siren is also used to alert someone of a fire or other possible dangers from additional devices installed as a part of your system for example, carbon monoxide, gas leak, water-flow, etc. This device is programmed to “dial” or call a specific telephone number that is “answered” by a receiver located in the Central Monitoring Station. This device transmits the necessary information to the receiver so the central station operator can then identify the problem and take action to call your location and verify the signals and if required dispatch the proper authorities. When an alarm is activated at your location the signal is transmitted by Landline Telephone, Cellular or Internet communicator to the central monitoring station. We will call you at your location to verify your alarm signal before we dispatch emergency authorities. The means of verifying that an actual intrusion has taken place. There are many ways to verify an alarm event has occurred. Video verification utilizes cameras that are installed in the same area as the alarm device so that the central station operators can view what caused the alarm. Audio verification utilizes microphones so that operators can listen in to determine if an alarm is real or not. Call verification utilizes phone calls to attempt to verify the alarm. You may cancel the alarm dispatch by answering the telephone and giving the operator your pass code. Or, if you prefer, we can call the authorities immediately. For conditions other than fire or burglary, you have a choice of a dozen alarm response options. Some customers choose to call us if they accidentally trip the alarm, just call our central station phone number and give your pass code to our operator and we can cancel the dispatch. You are encouraged to call in periodically to test your alarm system to be sure it is functioning properly. Monthly testing is a good way to stay comfortable with your alarm system and its many features. First call the Central station and put your system on test, then arm your alarm system and open a protected zone to create an alarm. Once you hear the sirens, disarm the system and call the Central Station again to verify the signals are transmitting properly. Free weekly auto-test is available, this means your system will transmit a test signal once each week to verify the connection.